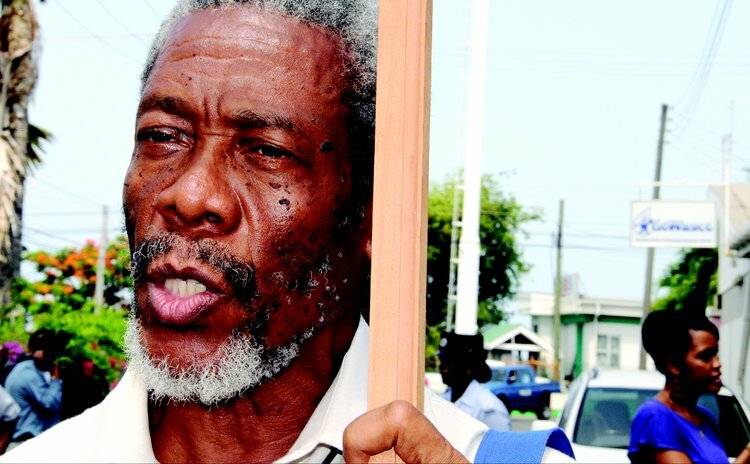 Norris Prevost and his party are not saying yes or no but reliable sources tell the Sun that the parliamentary representative for Roseau Central will not run again. Joseph Isaac may replace him. Officials of the opposition United Workers Party (UWP) will neither confirm nor deny reports that Norris Prevost, the parliamentary representative for the Roseau Central constituency will be replaced as the party's candidate for the upcoming general elections. Prevost, 66, contested and lost in the general elections of 1990, 1995 and 2000 but won in 2005 and 2009. In 2009 he won by a slim three-vote margin (839-836) narrowly defeating Alvin Bernard, the candidate of the ruling Dominica Labour Party and a newcomer to the political scene. "All I can say to you is that there are moves for a new candidate in Roseau Central and things are shaping up quite well in that regard," one source with inside knowledge of the party's decisions told The SUN. When asked whether he is giving up the seat, Prevost did not answer directly. "I don't think that this is a time for that…if and when it becomes a matter for media information I will give you a call," he said. "The United Workers Party is still in the process of selecting candidates for all constituencies, including Roseau Central and so when we are ready to make such announcements we shall inform you." When contacted opposition leader Hector John sang from the same hymn sheet; he said, "It's premature on that…call Mr. James, he is the leader of the party." Edison James also did not confirm nor deny that Prevost would not be contesting the upcoming general elections. "I can't confirm that…that's all," he repeated several times to the SUN's reporter. Even Clifford "Bala" Celaire, the chairman of the Roseau Improvement Committee (RIC), Prevost's flagship in Roseau Central, sounded like the other members of the UWP. "I have no comments on that matter, speak to Mr. Prevost. When the time is right you will get what they have to say," Celaire told The SUN from his home in Cork Street. What about the man who may replace Prevost? During the run-up to the 2009 general elections, the name of Joseph Isaac, a graduate of the Dominica Grammar School and former teacher of that institution had surfaced but it was decided that "he was not ready for that yet," the source revealed. He is probably ready this time. Isaac was also contacted by The SUN for comments and he told the SUN to call him back but several subsequent calls to his phone over the past few days were unanswered. However, in a brief conversation Isaac indicated that he was interested in being a candidate in the upcoming general elections.